In keeping with our series of comments from our BFA students, here are some thoughts from some of our youth studio and middle school drawing students. Atticus: I think that everyone should do it. My favorite part is clay. It is very fun. I can’t wait to do it again. 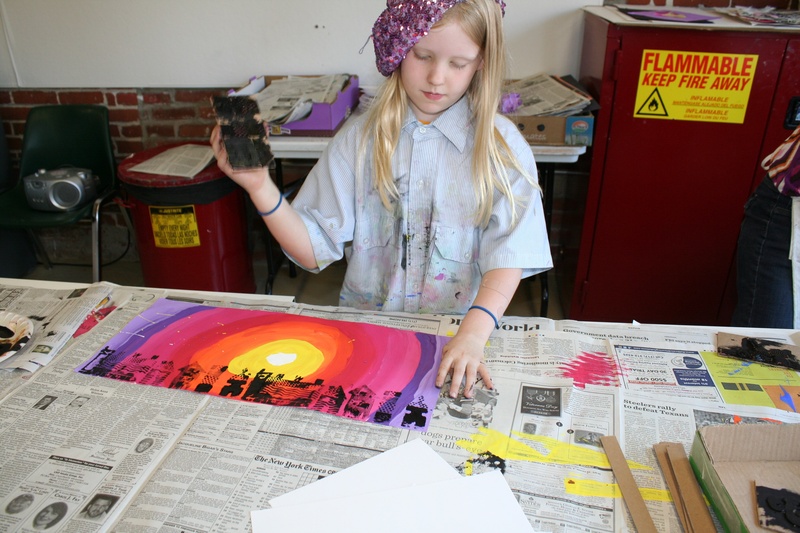 Bina: I really like doing everything especially the Dr. Suess sculptures and the sky painting. It is fun to use clay. I am excited to paint it and put feathers on it. Paige (Conestoga Valley): I think that this class is all about just the overall objective of drawing and just to get better at what you are doing. I personally loved the animal drawings and doing different types of furs and feathers. Taking this class has just overall changed the way I draw and my skill. Claire: This class taught me how to draw things, other than buildings. 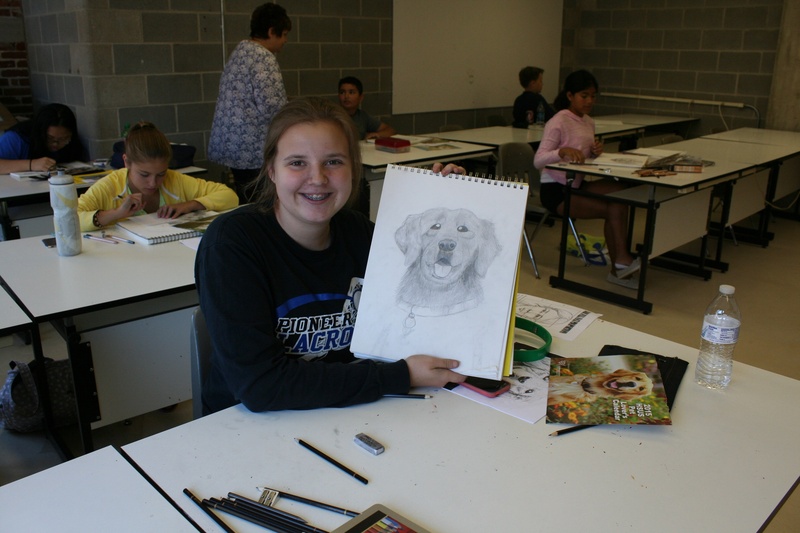 Meredith (Lampeter Strasburg): I came into this class loving to draw animals. Through taking these classes we learned better shading and how to do texture. I have also learned to like to draw still life too. I’m really glad I took this class to learn more about art. Diego (Fulton Elementary): I liked learning how to draw animals and shade them. 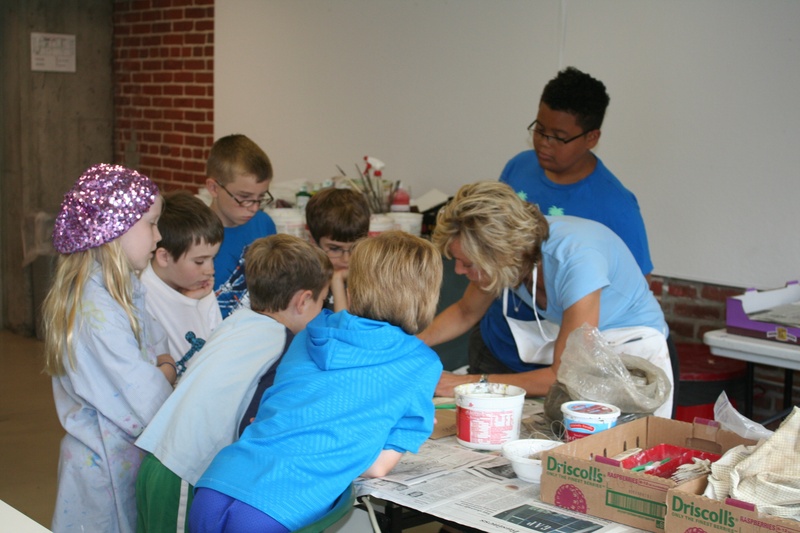 Maxine: I came to middle school drawing camp to learn more about drawing. I have never really has a class or any instruction on drawing. My favorite lesson or project is what I’m working on now as I am writing. A tiger. I go to Manheim Township Middle School and draw, play violin and swim. Gabrielle (St Anne School): I came to this class because I wanted to learn a lot more things about drawing and sketching. The teachers here are very nice and are willing to help you with anything you need. My favorite thing about the class was drawing animals.